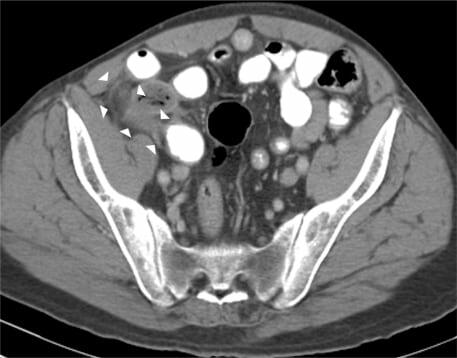 A 56-year-old Hispanic male presented to the emergency department (ED) complaining of right lower quadrant abdominal pain for two days. A 25-year-old healthy Hispanic male agricultural laborer presented to the emergency department with six weeks of a painless raised lesion on the proximal thumb with occasional drainage of fluid, without history of injury. Many emergency department (ED) patients with cardiopulmonary symptoms such as chest pain or dyspnea are placed in observation units but do not undergo specific diagnostic testing for pulmonary embolism (PE). The role of observation units in the diagnosis of PE has not been studied. We hypothesized that there was a small but significant rate of unsuspected PE in our observation unit population. 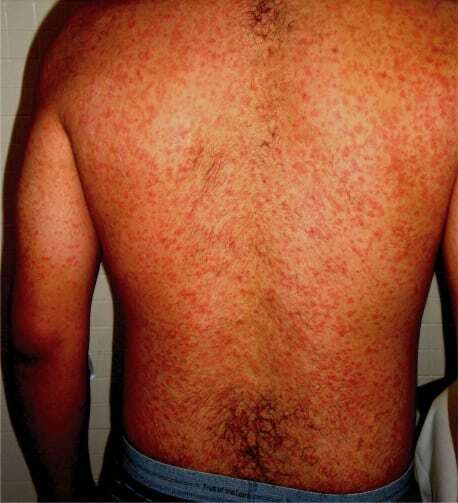 A 17-year-old male presented to the emergency department with complaints of fever, rash that originated on the abdomen, malaise, and a cough for 10 days prior to evaluation. 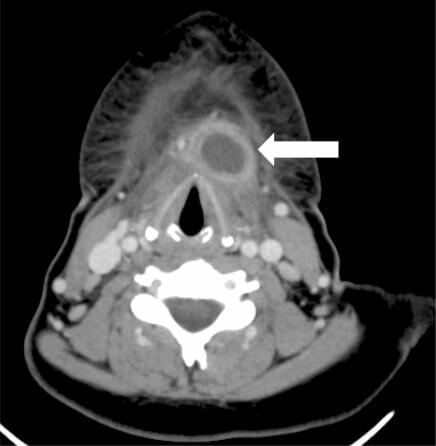 A 23-year-old female presented to the emergency department (ED) with a five-day history of sore throat, body aches and 24 hours of throat swelling accompanied by globus sensation and hoarseness. A previously healthy 31-year-old man presented to the emergency department complaining of right foot pain and a non-pruritic rash with swelling for one day. Accidental ingestional poisoning among pediatric patients is a prevalent problem. In the absence of a well-designed national injury and poisoning surveillance system, cases often go unreported. This case report describes two pediatric cases of immediate oxygen desaturation from methemoglobinemia and sulfhemoglobinemia after one sip from a plastic water bottle containing hydroxylamine sulfate used by a relative to clean shoes. Supplemental oxygen and two separate doses of methylene blue given to one of the patients had no effect on clinical symptoms or pulse oximetry. The patients were admitted to the pediatric Intensive Care Unit (ICU) with subsequent improvement after exchange transfusion. Endoscopy showed ulcer formation in one case and sucralafate was initiated; both patients were discharged after a one-week hospital stay. Internal medicine physicians were once known as the “physician’s physician.” These clinicians were consultants or specialists to the general practitioners of society. Frequent users of the emergency department (ED), recently defined as having four or more visits per year, are a diverse group of patients that provide a challenge to emergency physicians (EPs). This case report describes a digit amputation resulting from an improperly applied tubular dressing. The safe application of digital tubular dressings, and the rationale behind it, is detailed to raise emergency physician (EP) awareness. To examine barriers to the use of OMT in the ED and provide suggestions to ameliorate these barriers. To determine the impact of this billing practice on actual EP reimbursement we undertook an analysis that allows calculation of physician reimbursement from billing data. A hiccup, or singultus, results from a sudden, simultaneous, vigorous contraction of the diaphragm and inspiratory muscles, accompanied by closure of the glottis. Hiccups can be associated with bradyarrhythmias. The mechanism of this phenomenon is likely hiccup-induced Valsalva maneuver and increased parasympathetic tone. We present a case of a patient with violent hiccups producing a bradyarrhythmia. To review available evidence and examine issues surrounding the use of advanced antiplatelet therapy in an effort to provide a practical guide for emergency physicians caring for patients with acute coronary syndromes (ACS). Little is known about the factors important to applicants when selecting an emergency medicine residency. We sought to identify which residency-specific criteria applicants value in selecting a training program. 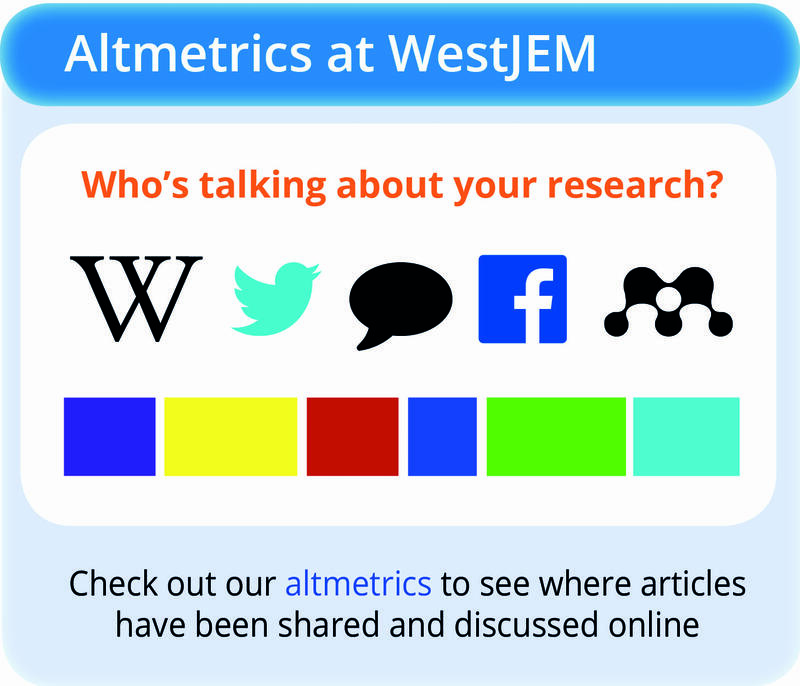 This article illustrates the use of an essential post-residency survey to identify specific topic deficiencies in the emergency medicine (EM) residency curriculum. Procedural Skills Training During Emergency Medicine Residency: Are We Teaching the Right Things? The Residency Review Committee training requirements for emergency medicine residents (EM) are defined by consensus panels, with specific topics abstracted from lists of patient complaints and diagnostic codes. The relevance of specific curricular topics to actual practice has not been studied. We compared residency graduates’ self-assessed preparation during training to importance in practice for a variety of EM procedural skills. My comments on this paper are drawn from a London-based, British National Health Sevice (NHS) perspective. The study objective was to determine whether surgeons and emergency medicine physicians (EMPs) have differing opinions on trauma residency training and trauma management in clinical practice. To assess the reproducibility of serial ECGs done in the emergency department (ED) with regard to the presence or absence of LVH. Endotracheal tube cuff (ETTc) inflation by standard methods may result in excessive ETTc pressure. Previous studies have indicated that methods of cuff inflation most frequently used to inflate ETTcs include palpation of the tension in the pilot balloon or injection of a predetermined volume of air to inflate the pilot balloon. If a logarithmic relationship exists between ETTc volume and ETTc pressure, small volumes of additional air will result in dramatic pressure increases after a volume threshold is reached. Our goal was to determine whether the relationship between ETTc volume and ETTc pressure is linear or non-linear.